1994 Chevrolet Beretta engines have been acquired for retail sale through the Got Engines website. These used motors are Z26 editions in 3100 builds offered for sale online. Beretta is one of the classic cars in the Chevrolet brand of the General Motors company still used by some consumers each year. 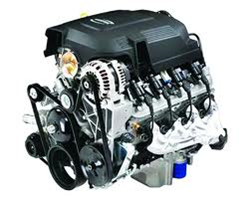 The Got Engines company is providing resources to purchase 1994 Chevrolet Beretta engines in used condition online at http://www.gotengines.com. The 1994 editions that are available for retail sale feature the larger motors that were created towards the close of production for the Beretta. The 3100 class of V6 engines that fit into the Z26 models are now fixed with prices below marketed retail from dealerships in the U.S.
"Chevrolet is one of the brands that are now priced less in our used motors inventory this year and consumers can take advantage of the price savings online," said a Got Engines rep. The performance V6 motors that are currently featured for public sale are a new inclusion inside of the GM based inventory. The regular block 3.1L and additional Ecotec versions are also available for purchase with a similar price point for purchasers. "The used motors from GM that we're distributing for domestic orders this year will benefit from the three-year coverage supplied in the form a warranty to buyers," said the rep. The Got Engines company has improved the use of its website to ease research conducted by the public for second hand motors. Different tools exist to help with locating units available for shipping and new content is now posted about each motor at gotengines.com/blog. The GotEngines.com company distributes motors in used condition throughout the United States at discount retail prices. The company started selling to consumers in 2007 and has arranged its inventory to provide popular and hard to locate auto engines for sale. The GotEngines.com website offers access to company pricing and the complete inventory that is offered for purchase this year. Customer service teams now support daily phone calls and emails through a new contact center accessible to the public.